The mission of HCC is to feed, educate, and help children around the world. We've been able to see first hand how we can be a blessing to children in need. We started small, but we are able to do more each year. For the past two years, HCC has helped provide scholarships to refugee teens (PAIR), and water filters for the Nukak tribes in the Amazon jungle. This past year we were able to do more! 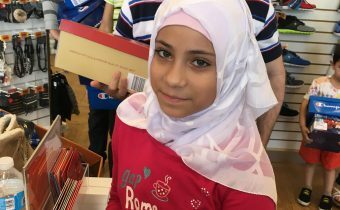 We provided shoes for refugee children (Middle East and Latin America) in Houston, 40 school uniforms in Houston to children without resources, 60 shoes and backpacks to children in Cambodia, and more! Due to the recent disaster in Texas as a result of Hurricane Harvey, we dedicated a significant portion of our 3rd annual fundraiser to the flood victims in Texas. We all have friends or loved ones negatively affected by this storm. We have already purchased items to donate to our "neighbors" at St. Albert Church in Houston but we want to do more! We thank you for your participation. 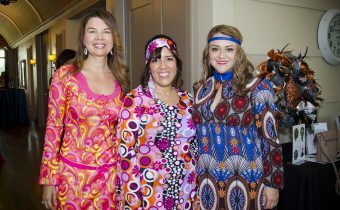 The evening included dinner, a live DJ, dancing and fun silent auction items. It was groovy!! 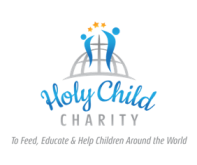 Holy Child Charity strives to provide education, nutrition, and health services to the children in need in the United States and around the world. Our fundraisers have generated tens of thousands of dollars from events around the city. Our programs help kids in countries all around the world including buying necessities, water, and providing scholarships. 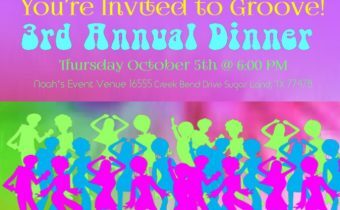 We want to thank you for making our event in October at Noah’s Event Venue in Sugar Land a huge success! Holy Child Charities donated 60 pair of tennis shoes and 55 backpacks to these kids in Kampot, Cambodia in July, 2017. 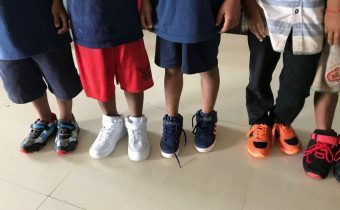 For many of them, this is their first pair of shoes. 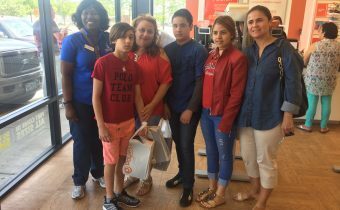 On April 8, 2017, Holy Child Charities board member and friends provided shoes at Payless shoe store for 22 refugee families from Houston Catholic Charities. Most of the families were from Cuba.